Ab initio electronic-structure methods (quantum chemistry, DFT); ab initio atomistic thermodynamics; first-principles multiscale methods (kinetic Monte Carlo); interactions of atoms and molecules at surfaces; computational heterogeneous catalysis and electrochemistry; defects at surfaces and interfaces; polarons; artificial intelligence for materials science; conversion of methane and carbon dioxide; polar surfaces; ferroelectric materials; batteries. S. Bhattacharya, S.V. Levchenko, L.M. Ghiringhelli, and M. Scheffler, “Efficient ab initio schemes for finding thermodynamically stable and metastable atomic structures: Benchmark of cascade genetic algorithms”, New J. Phys. 16, 123016 (2014). H. Kirsch, X-h. Zhao, Z-f. Ren, S.V. Levchenko, M. Wolf and R.K. Campen, “Controlling CH2dissociation on Ru(0001) through surface site blocking by adsorbed hydrogen”, J. Catal. 320, 89 (2014). N.A. Richter, S. Sicolo, S.V. Levchenko, J. Sauer, and M. Scheffler, “Concentration of Vacancies at Metal Oxide Surfaces: Case Study of MgO (100)”, Phys. Rev. Lett. 111, 045502 (2013). N. Marom, R.A. DiStasio Jr., V. Atalla, S. Levchenko, A.M. Reilly, J.R. Chelikowsky, L. Leiserowitz, and A. Tkatchenko, “Many-Body Dispersion Interactions in Molecular Crystal Polymorphism”, Angew. Chem. Int. Ed. 52, 6629-6632 (2013). S. Bhattacharya, S. Levchenko, L.M. Ghiringhelli, and M. Scheffler, “Stability and Metastability of Clusters in a Reactive Atmosphere: Theoretical Evidence for Unexpected Stoichiometries of MgMOx”, Phys. Rev. Lett. 111, 135501 (2013). M. A. Méndez Polanco, I. Grinberg, A. M. Kolpak, S. V. Levchenko, C. Pynn, and A. M. Rappe, “Stabilization of highly polarized PbTiO3 nanoscale capacitors due to in-plane symmetry breaking at the interface”, Phys. Rev. B 85, 214107 (1-7) (2012). L. O. Paz-Borbón, G. Barcaro, A. Fortunelli, and S. V. Levchenko, “AuN clusters (N = 1-6) supported on MgO(100) surfaces: Effect of exact exchange and dispersion interactions on adhesion energies”, Phys. Rev. B 85, 155409 (2012). L. Jiang, S.V. Levchenko and A.M. Rappe, “Rigorous Definition of Oxidation States of Ions in Solids”, Phys. Rev. Lett. 108, 166403 (2012). S. Arndt, G. Laugel, S. Levchenko, R. Horn, M. Baerns, M. Scheffler, R. Schlögl, and R. Schomäcker, “A Critical Assessment of Li/MgO-Based Catalysts for the Oxidative Coupling of Methane”, Catal. Rev. Sci. Eng. 53, 424 (2011). P. Myrach, N. Nilius, S.V. Levchenko, A. Gonchar, T. Risse, K.-P. Dinse, L. A. Boatner, W. Frandsen, R. Horn, H.-J. Freund, R. Schlögl, M. Scheffler, “Temperature-Dependent Morphology, Magnetic and Optical Properties of Li-Doped MgO”, ChemCatChem 2, p. 854-862 (2010). S.V. Levchenko and A.M. Rappe, “Influence of ferroelectric polarization on the equilibrium stoichiometry of lithium niobate (0001) surfaces”, Phys. Rev. Lett., 100, p. 256101 1-4, (2008). M.W. Lee, S.V. Levchenko, and A.M. Rappe, “Force calculation of polyatomic molecules in quantum Monte Carlo using Pulay’s corrections”, Mol. Phys., 105, 2493-2497 (2007). 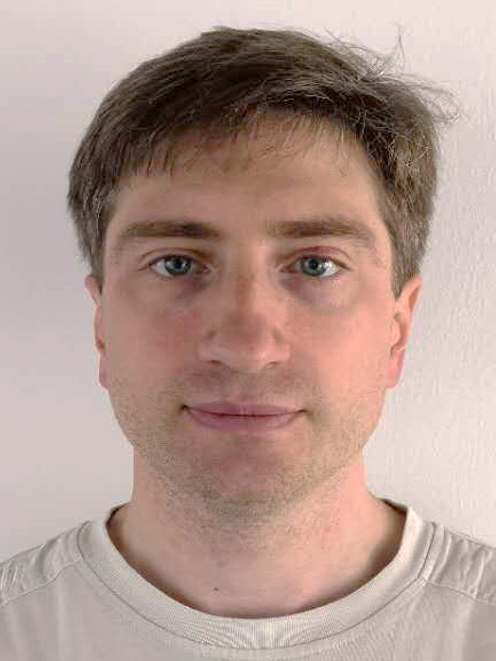 A. I. Krylov, L. V. Slipchenko, and S. V. Levchenko, “Breaking the curse of the non-dynamical correlation problem: The spin-flip method”, ACS Symposium Series, 958, 89 – 102 (2007). Y. Shao, L. Fusti-Molnar, Y. Jung, J. Kussmann, C. Ochsenfeld, S.T. Brown, A.T.B. Gilbert, L.V. Slipchenko, S.V. Levchenko, D.P. O’Neill, R.A. Distasio Jr., R.C. Lochan, T. Wang, G.J.O. Beran, N.A. Besley, J.M., Herbert, C.Y. Lin, T. Van Voorhis, S.H. Chien, A. Sodt, R.P. Steele, V.A. Rassolov, P.E. Maslen, P.P. Korambath, R.D. Adamson, B. Austin, J. Baker, E.F.C. Byrd, H. Dachsel, R.J. Doerksen, A. Dreuw, B.D. Dunietz, A.D. Dutoi, T.R. Furlani, S.R. Gwaltney, A. Heyden, S. Hirata, C.-P. Hsu, G. Kedziora, R.Z. Khalliulin, P. Klunzinger, A.M. Lee, M.S. Lee, W. Liang, I. Lotan, N. Nair, B. Peters, E.I. Proynov, P.A. Pieniazek, Y.M. Rhee, J. Ritchie, E. Rosta, C.D. Sherrill, A.C. Simmonett, J.E. Subotnik, H. L. Woodcock III, W. Zhang, A.T. Bell, A.K. Chakraborty, D.M. Chipman, F.J. Keil, A. Warshel, W.J. Hehre, H.F. Schaefer III, J. Kong, A.I. Krylov, P.M.W. Gill, M. Head-Gordon, “Advances in methods and algorithms in a modern quantum chemistry program package”, Phys. Chem. Chem. Phys., 8, p. 3172 – 3191 (2006). L. Koziol, S.V. Levchenko, A.I. Krylov, “Beyond vinyl: Electronic structure of unsaturated propen-1-yl, propen-2-yl, 1-buten-2-yl, and trans-2-buten-2-yl hydrocarbon radicals”, J. Phys. Chem. A, 110, p. 2746-2758 (2006). S.V. Levchenko, H. Reisler, A.I. Krylov, O. Geßner, A. Stolow, H. Shi, and A.L.L. East, “Photodissociation dynamics of the NO dimer. I. Theoretical overview of the ultraviolet singlet excited states”, J. Chem. Phys. 125, p. 084301 (2006). O. Geßner, A.M.D. Lee, E.t-H. Chrysostom, J.P. Shaffer, H. Reisler, S.V. Levchenko, A. Krylov, J.G. Underwood, A.L.L. East, D.M. Wardlaw, C.C. Hayden, and A. Stolow, “Femtosecond coincidence imaging spectroscopy of a complex dissociation”, Science, 311 (5758), p. 219-222 (2006). S. V. Levchenko, Tao Wang, and A. I. Krylov, “Analytic gradients for the spin-conserving and spin-flipping equation-of-motion spin-flip coupled-cluster model with single and double substitutions”, J. Chem. Phys., 122, 224106 (2005). S. V. Levchenko and A. I. Krylov, “Equation-of-Motion Spin-Flip Coupled Cluster model with Single and Double substitutions: Theory and application to cyclobutadiene”, J. Chem. Phys., 120 (1), 175 (2004). S. V. Levchenko, A. V. Demyanenko, V. L. Dribinski, A. B. Potter, H. Reisler, and A. I. Krylov, “Rydberg-valence interactions in CH2Cl à CH2 + Cl photodissociation: Dependence of absorption probability on ground state vibrational excitation”, J. Chem. Phys., 118 (20), 9233 (2003). S. V. Levchenko and A. I. Krylov, “Electronic structure of halogen- substituted methyl radicals: Equilibrium geometries and vibrational spectra of CH2Cl and CH2F”, Phys. Chem. A 106 (20), 5169 (2002). S. V. Levchenko and A. I. Krylov, “Electronic structure of halogen-substituted methyl radicals: Excited States of CH2Cl and CH2F”, J. Chem. Phys. 115 (16), 7485 (2001). A. V. Gordeev and S. V. Levchenko, “Relativistic electron-fluid model of an applied-B ion diode”, Plasma Phys. Reports 25 (3), 193 (1999). A. V. Gordeev and S. V. Levchenko, “Is the Abrikosov model applicable for describing electronic vortices in plasmas?”, JETP Letters 67 (7), 482 (1998). Ученое звание (при наличии): Ph.D.